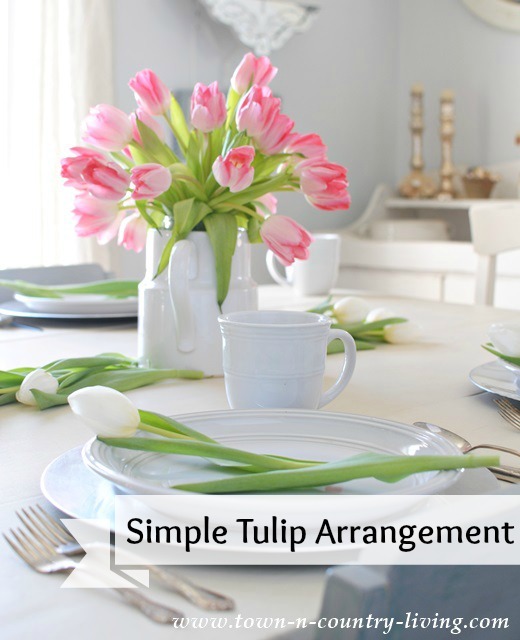 Normally I’m not a big decorator for Valentine’s Day, but for some reason I find myself wanting to add touches of red throughout my home. 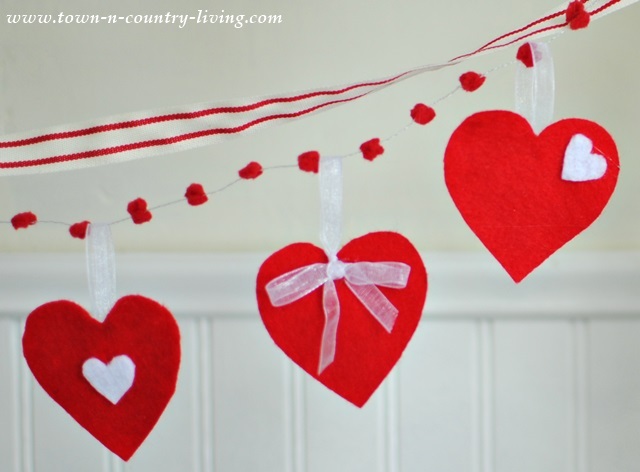 So I’ve made up a list of Valentine’s Decor projects I want to create and the first one I want to share with you is this super easy felt heart Valentine’s banner. 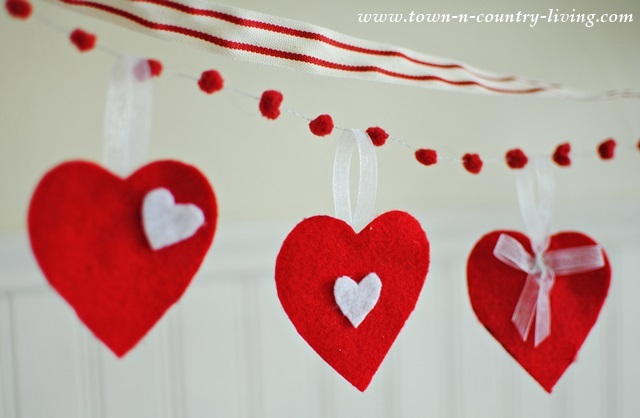 Simple felt hearts hang from a mini pom-pom garland. 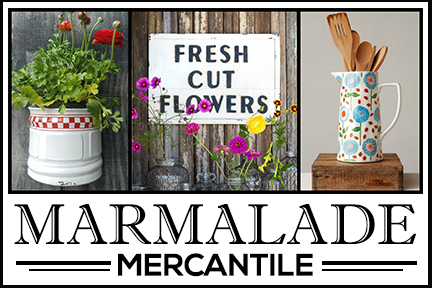 It didn’t take long at all to make this sweet little banner. 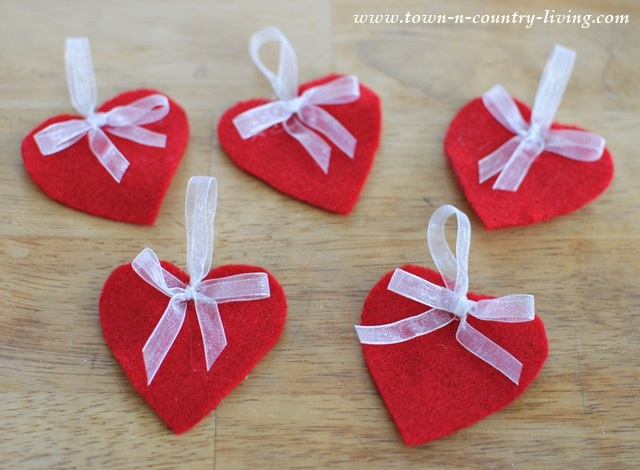 I used 3 simple patterns to create the hearts from red and white felt. 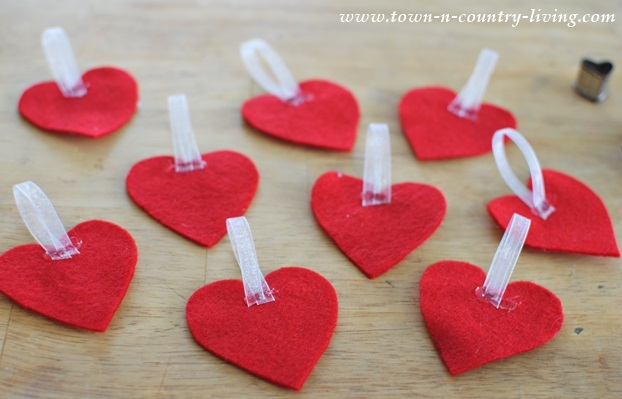 Supplies needed are red and white felt, heart shaped cookie cutters, ribbon, scissors, a marker, and a hot glue gun. Can I just say that I recently started using a hot glue gun and I absolutely love it! Using a felt tip pen, trace your hearts in various sizes and then cut them out. 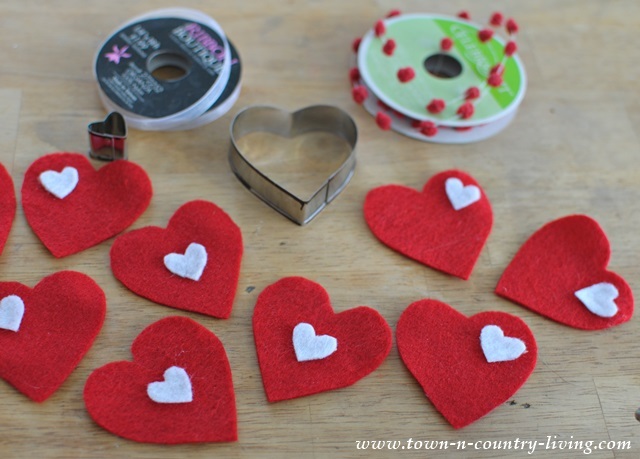 Glue the smaller hearts onto the larger ones. I left some of the red hearts plain. 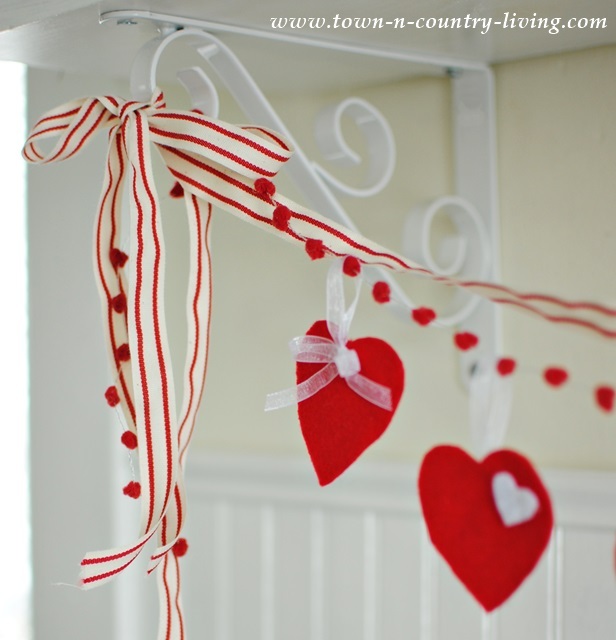 Flip the hearts over and hot glue a loop of delicate ribbon toward the top for hanging. Hot glue a dainty bow onto the felt hearts that were left plain. 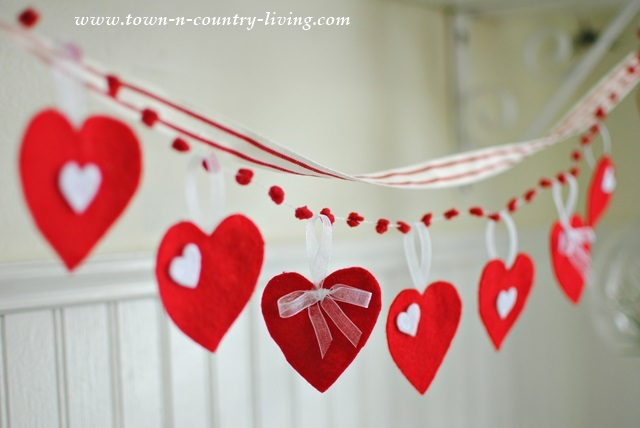 Finally, thread your felt hearts onto your ribbon garland and hang! 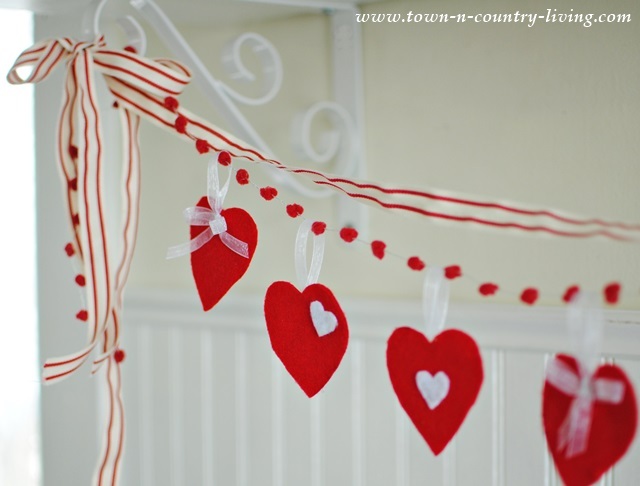 I found this mini pom-pom garland to use for my felt heart Valentine’s banner. The little pom-poms help keep the hearts in place on the banner. 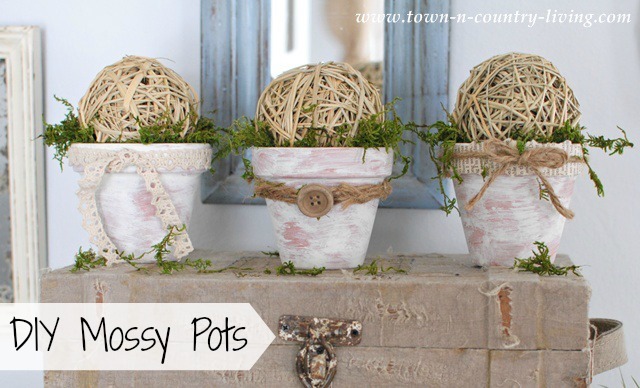 I paired it with the red and white striped ribbon that I used at Christmas time. 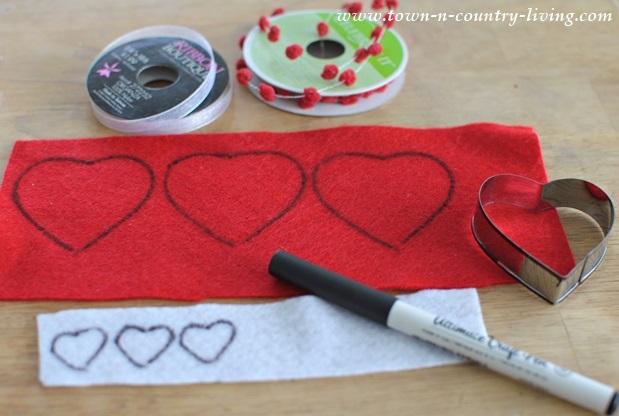 And that’s all there is to making this sweet little felt heart Valentine’s banner! 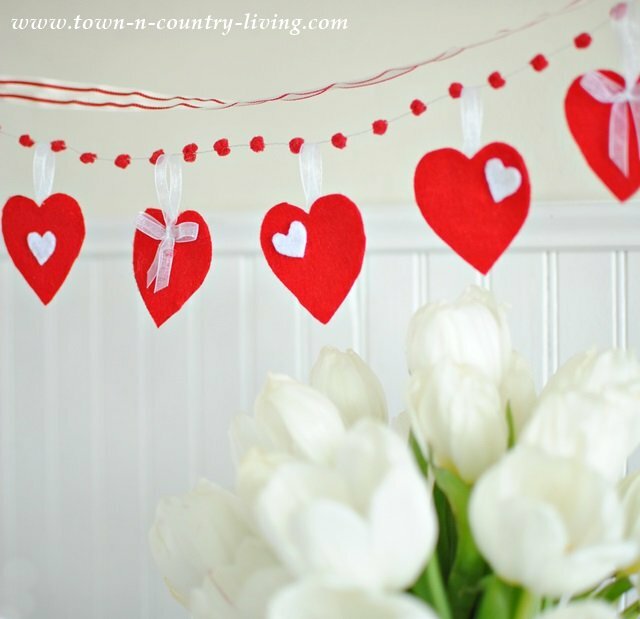 Your Valentine garland is just adorable. I love the pom pom string. Cute! So cute!. I will be waiting for the cookies to go with them from the cookie cutter. Yummm. I have got to make this for my mantel. I’ll be on the search for pompom ribbon soon! 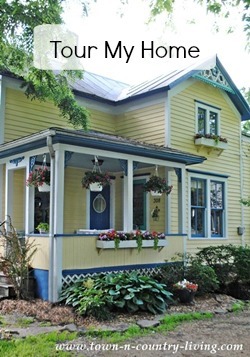 Thanks so much for the inspiration! So cute! And I LOVE my hot glue gun! 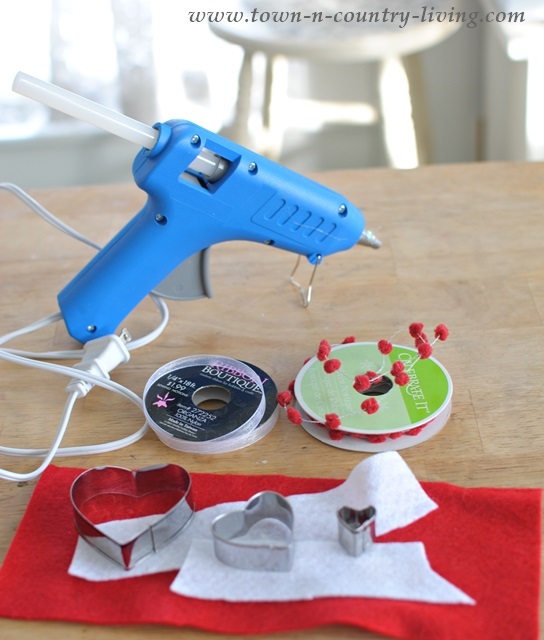 I just got a new one for Christmas because the old one wasn’t pushing the glue stick through right and I was having to use 2 hands to work the gun and push the glue through – not so handy on some projects where I needed one hand running the glue gun and one hand on the project! You are the banner pro! 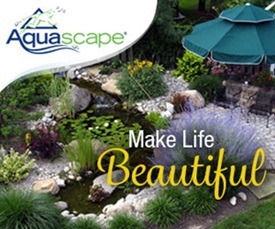 🙂 always good ideas! Adorable! 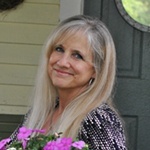 I love the stripped ribbon with it. 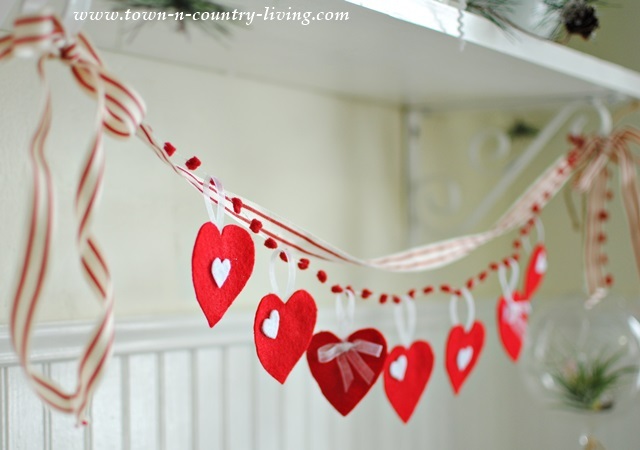 i don’t have fireplace mantle but love this Idea so I”m going to try and make the hearts on smaller scale and use as garland on a white feather tree.